Lawrence Annor Nyarko, also known as Otoo Kwaku, hailed from Adukrom-Akuapim in the Eastern Region of Ghana, and was born at Kyeremanteng near Nkurakan on September 4, 1929. He was the second of eleven children of his parents. His Parents were Mr. Emmanuel Annor Nyarko and Madam Alice Otoo, both of Adukrom Akuapim. Education From 1936 – 1946, L. A. Nyarko had his elementary education at Adukrom Akuapim Infant Junior and Senior Schools and obtained the Standard Seven (7) School-Leaving Certificate in 1946. He furthered his education in Accra at a Secondary School for a year, but because of financial constraints, he turned to pursue commercial education for two years. He undertook correspondence courses in journalism from overseas and was awarded a certificate upon completion. He attended the Haggai Institute Advanced Leaders’ Seminar in Singapore in 1982. He also had a six-week course at the Ghana Institute of journalism in 1990. Pastor C. K. Diaba engaged brother Nyarko in 1950 as a Stores Assistant. Later in the year, he left this job and took up an appointment as Stenographer Grade One with Messrs George Wimprey & Company Limited, a foreign construction firm that was constructing the halls of the University of Ghana at Legon. In 1951, he was employed by the Department of Lands in Accra. Lawrence Annor Nyarko was brought up in a Christian home in the strict discipline of the Presbyterian and Methodist churches. In 1948, he gave his life to the Lord through the ministry of Pastor James McKeown during an Apostolic Church service at a rented premises owned by Mr. Kojo Armah near Palladium Cinema Hall in Accra. Brother Mantey Alex introduced him to the church that day. Nyarko went through baptism by immersion administered by Pastor Seant Ansger Mallet. His conversion affected his entire family. He received the Holy Spirit baptism after two years of intensive prayer, fasting and study of the word of God. Before being called into the full-time ministry, brother Nyarko became a founding member of the Bombers’ group formed out of the Young People’s Movement. The group’s objective was evangelism. His evangelistic zeal earned him the accolade “Billy Graham of the Gold Coast” among his peers. Pastor James McKeown occasionally took the group to the bush for prayers, all-night prayers and teaching sessions, dawn broadcasts as well as intensive Bible study behind the Korle Bu Teaching Hospital in Accra. Inspiration was drawn from the late Apostle Joseph Egyir-Paintsil, Pastors J. W. Sackey, E. N. A. Vanderpuije, S. L. Addotey, and E. A. Ayisi (a former General Secretary of the Ghana Pentecostal council). Others were Elders E. K. Amissah, Johnny Mallet, S. O. France and many others. When the Korle Gonno Assembly was established in 1949, Brother Nyarko was ordained the first Deacon in 1950. Incidentally it was from the Korle Gonno Assembly that he was called into full-time ministry in 1952 as Overseer at the age of twenty-three (23). In 1956, he was called and ordained a pastor. In 1992, he was again called and ordained as an Evangelist. From 1978 to his retirement, he was more readily identified as ‘Radio Pastor’. Evangelist Annor Nyarko was frank and did not mince words to expose lapses in the system. He was disciplined, loving and hospitable. He cracked witty jokes that ended in hilarious laughter. In 1957, he married Madam Janet Afua Bruwaa at the Gold Coast Apostolic Church, Adukrom-Akuapim. The marriage was blessed with four children. •	In addition to the pioneering evangelistic roles he played, the numerous positions he held as well as the various committees he served on are enough to showcase his significant contributions to the Church. •	In the 1960s, he pioneered the ministry of the Church in Sawla areas among the Lobis. •	As a trained journalist, he brought his expertise to bear on the radio and literature ministries of the Church. •	Although a self-made scholar, he brought scholarship to bear on the Church. •	He served as one of the key interpreters for Pastor McKeown. Indeed, the tribute paid by the General Council of the Church read inter alia: “He was one of Pastor James McKeown’s most favored interpreters. Rev. Nyarko was a man of many parts, besides being a self-made scholar.” Indeed, during Pastor McKeown’s last visit to Ghana in 1984, Evangelist Nyarko had the privilege of being his interpreter when he preached his last sermon at the Sophia McKeown Temple at La in Accra. 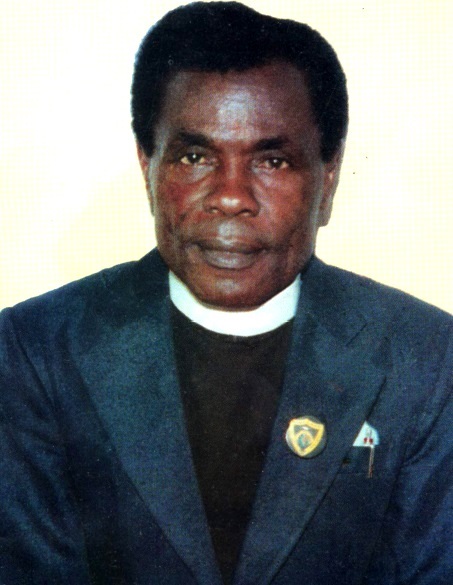 In 1994, Evangelist Lawrence Annor Nyarko retired from active ministry having served for forty-two (42) years.